In this article I am going to show you unique lace placement options for your wedding veil. 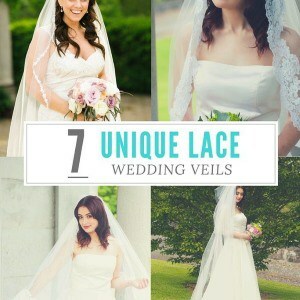 I’ll also give you a few style tips for choosing a lace veil, and show you how to create your very own custom lace veil. Lace wedding veils have always been a popular option for brides on their wedding day. Style icons like Grace Kelly, Jacqueline Bouvier (Jackie-O) and Kate Middleton each chose to walk down the aisle in a lace wedding veil. 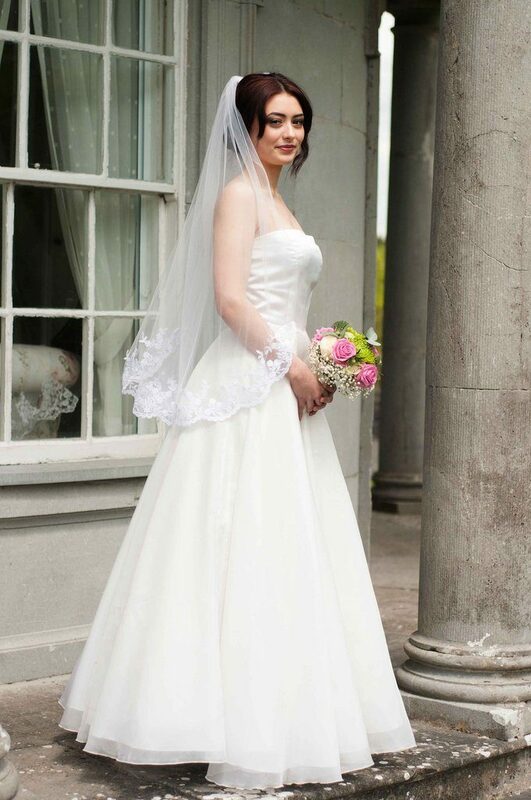 A lace veil is a stunning option that can really complete a beautiful gown and bridal look. Especially when it comes to a lace edge wedding veil. Not only do you have to pick the exact lace you like in terms of color, length and width, you also have to choose how much lace you wants around your veil. Mantilla veils are trimmed with intricate lace patterns and come in many different shapes, thickness’s and delicate details. Mantilla veils are usually placed 2 inches back from the hairline, which frames the face beautifully and allows the lace to drape nicely over the shoulders. A lace dress paired with a mantilla is stunning; as is a satin, chiffon, or any other material. When choosing a mantilla stay away from a puffy princess gown. Rather, opt for a silhouette that gives you shape and elongates the body. This will let the mantilla form a beautiful lace halo around your body. For a very traditional look, place the edge of the veil 2 inches back from the hairline. The best hairstyles for a mantilla veil are soft curls, flowing half-up styles, or low side buns. Make sure that the lace corresponds with lace on your gown (if any), as you don’t want them to clash. A similar design to the above mantilla veil, except that the lace tapers off half way down and does not go fully around the veil. Again, similar to a mantilla in that the lace runs all the way around the edge and will frame your face. The difference is that the lace goes into the comb rather than sitting flat on your head as a mantilla does. 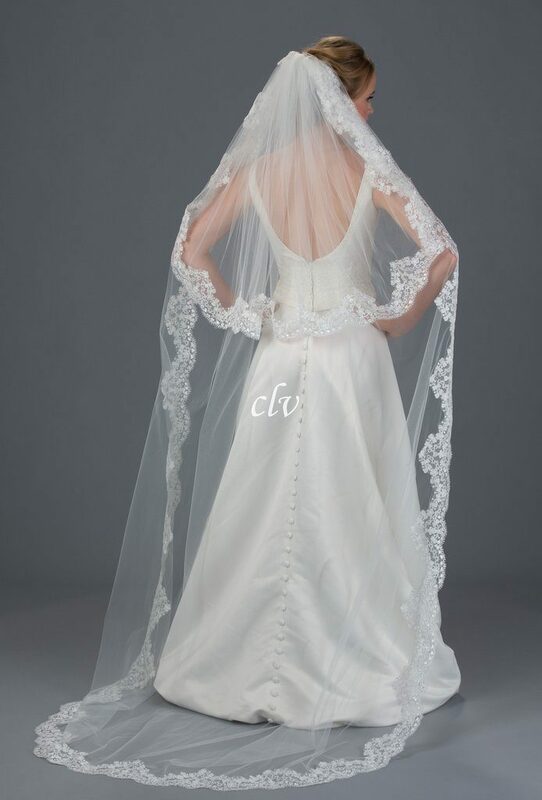 If you are looking for a lace veil that won’t distract from a beautiful sleeve or neckline, you can choose to have a lace edge only go around the bottom of the veil. 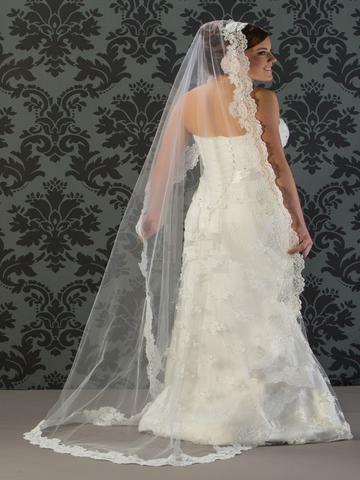 Similar to the veil choice above, you can choose to have the lace go around the bottom and up the side. Very similar to the style of veil that both Kim Kardashian and Kate Middleton wore. A drop veil that has a lace edge will sit flat on your head when the blusher is over your face. If the veil is long enough it will command drama and provide you with a stunning bridal look. If you’re into something a little less traditional, and want to accent your veil with some sharp black lace, we can arrange that as well! 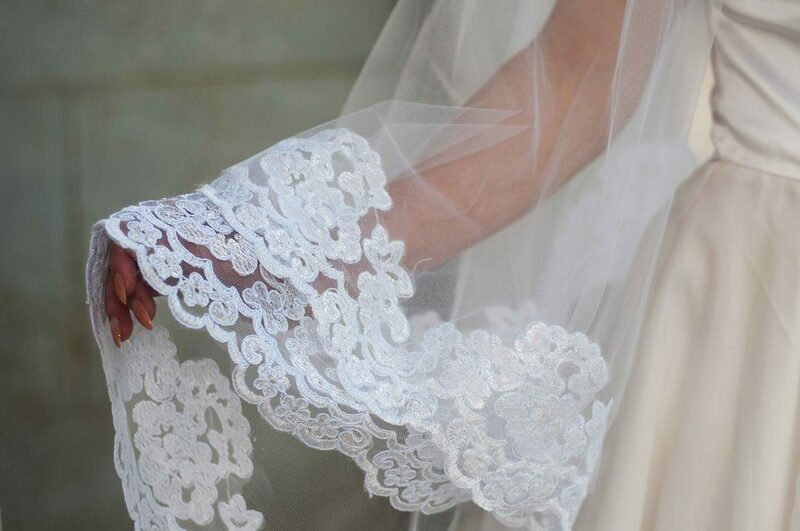 Note: We do offer colored wedding veils, but black is the only other option for lace trim color. Lace shouldn’t obscure your eyes. Everyone wants to see you and not a thick piece of lace. When wearing a lace gown, choose a lace veil pattern that has similarities. Don’t let the trim lace pattern clash with your dress. Ribbon and lace edged veils tend to work well with structured dresses, whereas tulle or organza dresses work well with a raw cut or thin wound edge. Want to amp up the drama without any embellishments? A veil with touches of light lace is extremely elegant when styled with a simple dress. Looking for a Lace Veil for your Big Day? 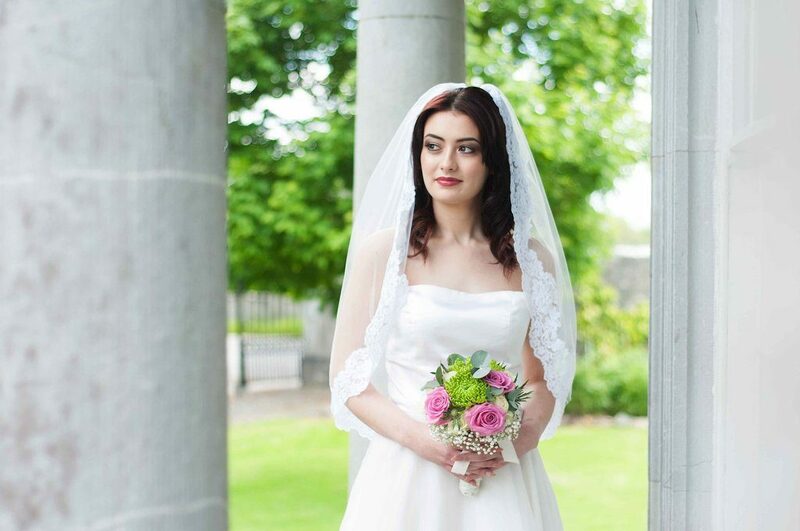 We have a large selection of beautiful lace veils available in our online boutique. If you can’t find the right lace veil in our collection of lace bridal veils – Not to worry, head over to our custom veil page and easily create your very own. 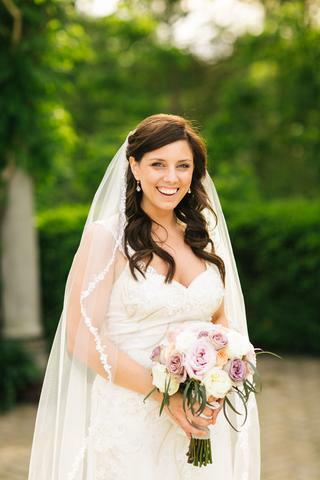 Also don’t forget to keep ClassicVeils on your wedding planning radar by liking us on Facebook.